Online lending marketplace IndiaLends has secured $4 million (around Rs 27.3 crore) in its Series A funding round from existing investor DSG Consumer Partners. American Express Ventures, Chinese investment firm Cyber Carrier VC and Noida-based early stage fund AdvantEdge Partners also participated in the round. The firm will use the funds to expand its credit underwriting and analytics capabilities, offer more products and spread its footprint across India, it said in a statement. "Over the last year, we have made significant improvements in data, analytics and technology capabilities. We are looking to build on this and have recently introduced products like credit builder loans for first-time borrowers, in partnership with select banks and NBFCs," Mayank Kachhwaha, co-founder of IndiaLends, said in the statement. 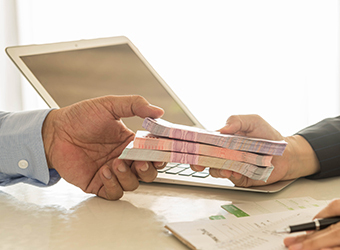 The Delhi-based firm connects salaried and self-employed individuals with institutional lenders to secure loans through its data analytics and proprietary credit underwriting algorithm. Besides loans, IndiaLends' online marketplace offers access to credit scores. It also offers credit scoring solutions to financial institutions. IndiaLends was established in March 2015 by London Business School alumnus Gaurav Chopra and IIT Madras alumnus Mayank Kachhwaha. The duo was previously part of the unsecured consumer and business credit verticals at Capital One, a US-based financial institution. The company had previously raised $1 million in a bridge round in October 2015 led by existing investor DSG Consumer Partners and two individual investors—Siddharth Parekh and Gautham Radhakrishnan. A lot of startups in the fintech space have raised funding recently. Last week, Delhi-based Affordplan raised $3 million (Rs 20 crore) in a Series A round from Prime Venture Partners and Kalaari Capital. It offers patients affordable healthcare services by helping them plan and save for procedures such as pregnancy, eye care, dental, plastic surgeries and orthopaedic treatment. In November, Gurgaon-based Paradime Technologies Pvt. Ltd, which runs numberz.in, raised $650,000 in seed funding from Kae Capital and Khosla Impact. The startup offers small and medium enterprises (SMEs) a platform to manage their cash flow. In October, Washington DC- and Bangalore-based MPOWER Financing, raised $6 million (nearly Rs 40 crore) led by private equity firm Zephyr Peacock India, University Ventures, 1776 Ventures, Goal Structured Solutions, VilCap Investments and Fresco Capital. The firm facilitates loans for international students pursuing higher education in US universities. Bengaluru-based wealth management app Fisdom secured $1.1 million (Rs 7.3 crore) from Saama Capital in October. The Fisdom mobile and web applications help people manage their investments. In the same month, Lendingkart acqui-hired KountMoney, a personal loans marketplace, to build its technology and data analytics capabilities.